It shouldn't surprise you to hear that Ruth Bader Ginsburg is riding high on the wave of pop culture. After her striking and articulate dissent to the Burwell v. Hobby Lobby case, people went crazy for Notorious RBG. It also isn't all that surprising that a lawyer and bride-to-be invited Ginsburg to her wedding as a symbolic gesture. What is surprising: Ginsburg actually responded to the invite as an equally kind gesture. Staci Zaretsky, a lawyer and writer for Above The Law , was planning out her wedding to a fellow lawyer when she decided to send an invitation to Ginsburg. "My fiancé and I decided to invite everyone who had ever made an impact on our lives, big or small...to stay true to the way we invited all of our guests, I wanted to invite the justice who made the biggest impact on my life," she wrote at ATL. So Zaretsky slipped an invite into an envelope, sealed it with a rhinestone heart, and put it in the mail. She expected her pipe dream to end there. But a full week before RSVPs were due, she got a short, yet touching letter from Ginsburg herself. "I appreciate your invitation and spirit-lifting note," wrote that most well-spoken of Supreme Court justices. Even if you don't agree with Ginsburg's opinions, you can't say that this isn't an incredibly meaningful gesture. 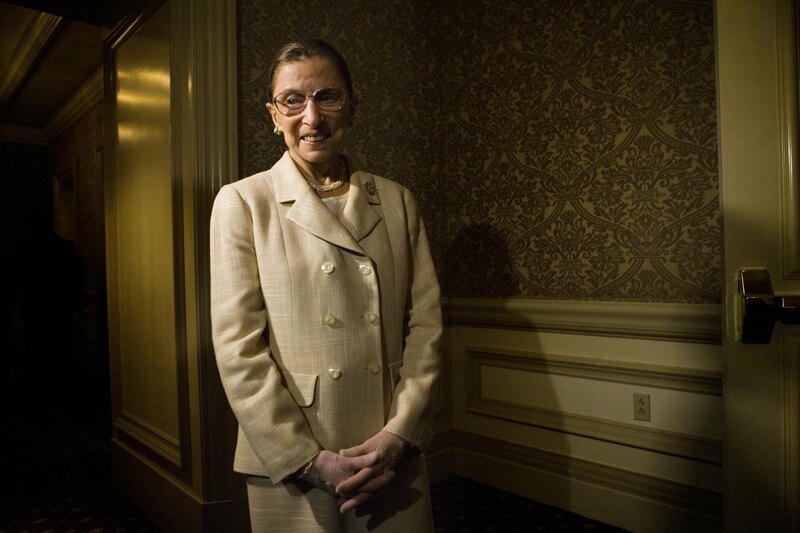 "Justice Ruth Bader Ginsburg, you made my day — if not my life — with this letter. Thank you so very much for making me smile, and thank you again for all of the good that you do in the world," wrote Zaretsky. Ginsburg chose a great way to acknowledge a fan's admiration, and perhaps other public figures should consider taking a leaf from her book. Guess that's just Notorious RBG for you. In the unlikely instance that I marry rather than becoming an eternally single cat lady, perhaps I can indulge my dream of inviting Wendy Davis and/or Elizabeth Warren?